According to the Boston Herald, even school bus drivers are getting caught, and they’re putting your kids at serious risks because of it. 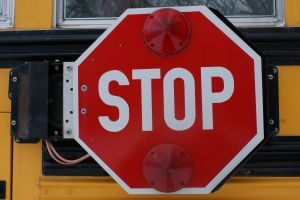 Recently, a bus driver from New Hampshire was arrested for driving under the influence and causing an accident in Tyngsborough. He is facing charges in Lowell District County. He was in jail overnight on a $10,000 cash bond. He is now facing charges of failure to slow when approaching an intersection, child endangerment while drunken driving and drunken driving. Luckily, no one was injured in the crash at Westford and Middlesex roads. Officers say that the minivan that the bus driver ran into was transporting four students. The small bus, driven by the intoxicated driver was carrying two adult monitors and four students. School district officials say that the school bus driver has been placed on administrative leave pending the outcome of the investigation. Our Tyngsborough accident lawyers understand that drunk driving accidents continue to be a primary threat nationwide. As a matter of fact, there were nearly 10,230 people killed in these accidents in 2010 alone, reports the latest statistics with the National Highway Traffic Safety Administration (NHTSA). These accidents, which are completely preventable, accounted for about a third of all traffic accident-related fatalities for the year. Experts report that there’s someone killed in an alcohol-related collision every 51 minutes. In all 50 states, it’s illegal for someone to drive if they have a blood alcohol concentration (BAC) reading of .08 or higher. Of those killed in these accidents in 2010, nearly 6,630 of them were killed in accidents in which one of the drivers involved had a BAC of .08 or higher. In the state of Massachusetts, there were more than 140 people killed in alcohol-related car accidents in 2010. Of these fatalities, there were about 115 who were killed in accidents in which a driver had a BAC of .08 or higher. In 78 of them, a driver reported a BAC of .15 or higher. The most commonly reported BAC recorded nationwide in these accidents was .18. These accidents accounted for nearly 50 percent of all fatal accidents. Our state reported some of the worst percentages. Drivers are warned when they’re out driving during the evening hours and during the weekends. This is when these kinds of accidents are most likely to happen. This is especially true during the summer nights and weekends when traffic is increased significantly. Drivers are asked to be careful, even when sober behind the wheel. It’s a smart idea to keep an eye on other drivers. If you think you spot an intoxicated driver on our roadways, you’re asked to contact authorities and report them. Your phone call can help to save lives. If you or someone you love has been injured or killed in a drunk driving car accident in Boston or in any of the surrounding areas, contact the car accident lawyers at the Law Offices of Jeffrey S. Glassman. For a free and confidential consultation to discuss your rights today call 1-877-617-5333.